Chemtrails. Just Another Conspiracy Theory? While hiking through the woods, I am having a Rachel Carson “silent spring” moment. It’s early fall, nature is still beautiful, albeit a bit dry. There are no birds chirping, no squirrels, no snakes, just an annoying horse fly and a few mosquitoes. The fern gully is bone dry; all ferns have turned rusty brown from lack of rain. I finally spot a few small fishes darting about in the yellowish creek water. The sky is blue for now but crisscrossed by grey and white trails that don’t disappear at all like vapors do but dissipate and blend hours and hours later into a strangely colored mist with blue-grey edges that blanket the sky. What is this? Why are the trails so perfectly parallel in both directions and intersecting like a chess board? Why would a plane maneuver in this grid pattern if it’s flying the shortest distance possible to a specific destination? Conspiracy theorists call them chemical trails. Public officials have admitted that aluminum flakes are dropped from planes to “block the sun’s rays,” attempting to fix global warming. With so many real scientists acknowledging that global warming is a hoax and the climate change industry in an effort to fleece the public of trillions of dollars in carbon taxes across the globe, why are they spraying harmful chemicals into the atmosphere? Why have we engaged in weather modification for decades? Pilots, doctors, and scientists gave their educated opinion to the Shasta County Board of Supervisors on the issue of geoengineering/weather modification spraying of nanoparticles of various chemicals such as barium, strontium, and aluminum into the atmosphere. They voted unanimously to send the information obtained during this hearing to the EPA, the California Air Resources Board, and state and federal legislators. Everyone fixated on Captain Kirk’s hand phaser. But his wireless communicator was the real ray gun that could not be dialled down. 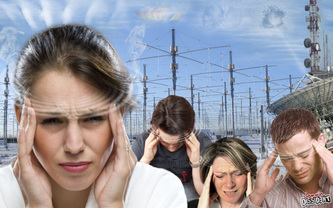 As former microwave warfare expert Barry Trower points out, an invisible ocean of electromagnetic waves from radio, radar and TV transmissions, cell towers, smart grids and overhead power cables travelling at the speed of light – “can all be reflected and refracted” by metal appliances, rain, snow, glass and conductive materials deliberately sprayed into the air. 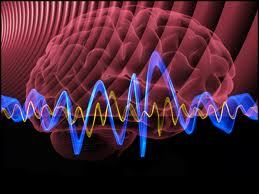 Microwaves at 1/10th British safety guidelines emit frequencies causing the biggest changes in cell calcium levels. At one-ten-thousands of a watt, the blood-brain barrier opens, allowing blood proteins inside to disrupt brain signals and start killing brain cells. A cell phone typically transmits at 2 watts. Low frequencies are directly linked with epidemic rates of dementia that threaten to bankrupt Canada, the USA and much of the world within a few decades – just as the challenges and costs of crop killing climate shift, sea-level rise and increasingly costly oil will require all the smarts and cash we can muster. 1980 to 2000 saw an increase of nearly 50% in the estimated number of new cases of Malignant Brain/Central Nervous System tumors in the United States. Up to 16% of North American couples are already experiencing infertility – a near doubling since 1992. In cell tower-festooned Delhi, one in four couples cannot conceive after trying for two years or longer. Surviving sperm are increasingly found to be too damaged to achieve fertilisation. At current rates, plummeting global sperm counts will hit 0 by 2048. How big does the climate engineering elephant in the room need to be before it can no longer be hidden in plain site? How much more historical proof do we need of the ongoing climate engineering/weather warfare before the denial of the masses crumbles? When will populations around the globe bring to justice all those responsible for the ongoing and rapidly worsening worldwide weather warfare assault? At the bottom of this post is a PDF file containing the entire congressional report from 1978 that we have recently located. This report is just under 750 pages in length (20 key excerpts are posted below to give a general overview). It is a mountain of information that further confirms the ongoing extensive involvement of our government in climate modification/weather warfare. This document also confirms the involvement of foreign governments around the globe, even governments that would otherwise have been considered "hostile to US interests". Within this text a great many aspects and consequences of the ongoing national and global weather modification programs are discussed. Legal implications (including the need for total immunity from any form of prosecution), biological implications, societal implications, environmental implications, etc. Named in the document are federal agencies involved as well as major universities. Again, because the entire document is a long and arduous read, some excerpts are posted below to give insight into the documents contents. The mountain of data to confirm the ongoing climate engineering insanity continues to grow. One additional example of documents already located is an ICAS report to the executive office of the president on climate engineering from 1966, it can be found HERE. The attached extensive congressional document is a revealing and detailed addition to the data that has already been compiled. My most sincere gratitude to Steve Grimwood for locating this very important document. All the attached excerpts shown above are only a small glimpse into this massive congressional document. For many decades those in power have plotted and planned for "full spectrum dominance" of the planet and its populations. The military industrial complex has long since openly expressed its desire to "own the weather". If the geoengineering juggernaut of insanity can be fully exposed, it could then be brought to a halt as people around the world demand its cessation. All are needed to join this critical effort, don't sit this one out. Throughout May of 2013, Southern California, home of 22 million people, received by far the most powerful daily aerosol attacks this writer has ever seen since learning of the Geoengineering issue in 2007. The sky remains whited-out and mountains ten miles away are barely visible due to toxic chemtrail fallout. Humanity, as motivated individuals of conscience, must unite and take immediate action to save lives and nature. Everyone must be informed quickly to stop this soft-kill murder operation, which is clearly escalating. In earlier times it was easier to control a million people than physically to kill a million people. Today it is infinitely easier to kill a million people then to control a million people. - Zbigniew Brzezinski (National Security Advisor, Council on Foreign Relations, Trilateral Commission, Bilderberg Group) Geoengineering, often referred to as Chemtrails, exists as a global nuisance for the primary purposes of causing severe bodily injury and premature death with malice aforethought. It involves the combination of chemtrails for creating an atmosphere that will support electromagnetic waves, ground-based, electromagnetic field oscillators called gyrotrons, and ionospheric heaters. 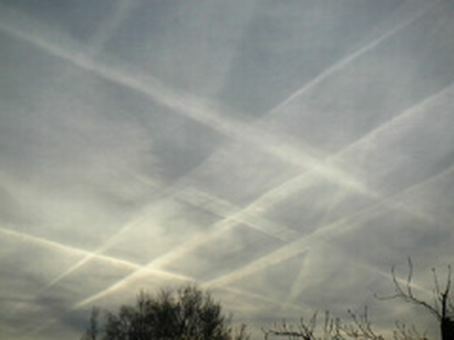 Chemtrails are the medium – GWEN pulse radars, the various HAARPs, and space-based lasers are the method, or more simply: Chemtrails are the medium — directed energy is the method. Spray and Zap. This system appears to be in Russia, Canada, the United States, and all of Europe. Exotic weapons can be mobile, stationary, land-based, aerial, or satellite. It is an offensive and defensive system against EM attacks and missiles. It uses ionospheric particle shells as defense mechanisms [like a bug-zapper shell]* against missiles and EM attacks. That means they spray and then pump up the spray with electromagnetics. When these shells are created using the oscillating, electromagnetic, gyrotron stations, it “excludes” and displaces the background magnetic field. These shells can be layered one above another in a canopy fashion for extra protection from missiles. The chemtrail sprays have various elements in them like carbon which can used to absorb microwaves. Some of these sprays have metal flakes in them that make aerial craft invisible to radar. Spoofer sprays. Sprays like these can be used to create colorful, magnetized plasmas to cloak fighter jets. There are satellite weapons involved. Activists are using meters and are getting readings of microwaves, x-rays, and some other kind of emission that they are not sure of, maybe a low-intensity laser. They are also photographing gas plasma generation due to the heating of chemtrails by electromagnetics. The technical names for vertical and horizontal plasma columns are columnar focal lenses and horizontal drift plasma antennas. Various size of gas plasma orbs are associated with this technology. These orbs can be used as transmitters and receivers because they have great, refractory and optical properties. They also are capable of transmitting digital or analog sound. Barium, in fact, is very refractive — more refractive than glass. What does that mean? Our country has a history of experimenting on its citizens. We are talking about satellite charged-particle frequency weapons attacking a person 24 hours a day. Psychotronic weapons are considered weapons of mass destruction by the U.N.
HAARPs can create earthquakes and can also x-ray the earth to find underground military bases, gold, or oil reserves. These ionospheric heaters can also operate as an over-the-horizon or under-the-ocean communications system. This system can control the weather or create disasters. Taken together with the aurora keyhole through-your-roof satellite surveillance system, Echelon electronic computer/phone sweeps, plasma-cloaked DOD Drug War helicopters and stealths, implants, and cameras on the street, it constitutes one, big global and space control grid. These weapons involve beams. Two beams overlapped will couple into a particle-ion beam that will bounce off of a remote target and send a holographic image back to the satellite for remote spying operations. When you cross two strong beams, you can supposedly* create scalar energies. These energies can be used as untraceable weapons for nuclear size explosions or for defense. These crossed-energies can be used to cause a person’s physical electrical system to fail or with a lower frequency, administer a kind of remote electro-shock. Visualize touching a positive and negative electric cable to each other on top of your head. Scalar energies can be utilized in hand-held military guns and on tanks. They can dud-out electronics or cause large, electrical blackouts. Scalar energies are practically impossible to shield against. You need lead, ceramics, and a deep underground facility to not be affected by these weapons. Or, you need to be up and above the field of battle.